There's a white elephant in the room and we want to talk about it! Just in time for the holidays, SHELF LIFE returns with UNWANTED GIFTS. Clowns, an EZ Bake Oven, a three-ring notebook, a cigarette pen, and more. These are just some of the unwanted gifts. Jose Faus, Charles Ferruzza, Jen Harris, Mark Manning, Sarah Beth Mundy, and Annie Raab. 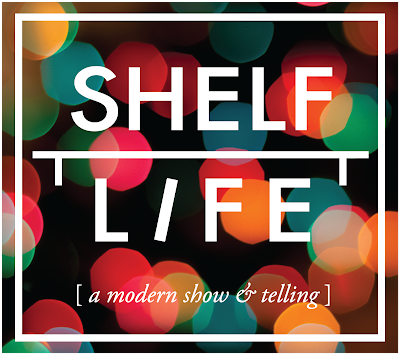 Shelf Life is a live themed show and telling event featuring an array of unique objects from the region and the people and stories behind them. Hosted by David Wayne Reed. Also, everyone who buys a ticket is entered into a raffle for a really cool SURPRISE MYSTERY OBJECT to be unveiled at the event. Ooh, ahhh! Doors open at 7 p.m. and show begins at 7:30 p.m. Shelf Life is made possible with support from Arts KC.